Beginners Course - next course will begin Wednesday 29th May 2019. Please complete the form on the Contact Us page to book your place. - all equipment will be provided; please don't buy any equipment before completing a course. 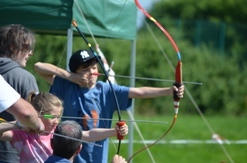 - min age 8 years - under 18s must have an adult to accompany them, so why not do the course yourself! 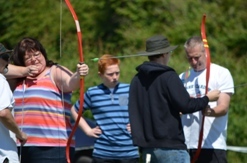 We frequently run "Have-a-go" sessions at public events and we also run sessions for groups such as Scouts, Guides, Youth Clubs etc. If you wish to bring a group to the club on a Monday or Wednesday night during the summer, please contact us for availability, prices and to discuss your individual needs.